NOTE: Be sure to register early next year. This year's registration opened on February 21. Questions can be directed to ABA's Jill Perlstein at jill@bookweb.org. APRIL 02, 2018 | 0:22:33 Click on the link below to listen to this soulful interview. Is there someone important you've never properly thanked? 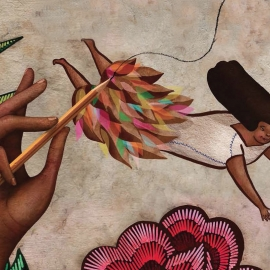 Find how award-winning children's book author, Yuyi Morales, discovers the power of writing a "gratitude letter" to the librarian who changed her life. Although my son was not a Dreamer in the sense of Dreamers who are these kids who are brought as infants, as children to this country, and know no other country but the United States as their own country. But we are the kind of dreamers, like all the people who come to a country, hoping that we bring the best that we can, to create a better life. Not only for us. For our children, and for the rest of the world. This is a rare list of reputable publishers who are currently accepting submissions - without requiring an agent be involved. The traditional publishing business is slow. If you’ve ever worked with someone in the publishing world, you know this well. Time and patience are required - for many reasons, and all of them are valid. That doesn’t mean your only option is to self publish like mad until a savvy-agent-with-heart notices your brilliance and plops a fabulous offer to represent you - right into your lap. Ahem. Self publish, sure - but don’t stop there. 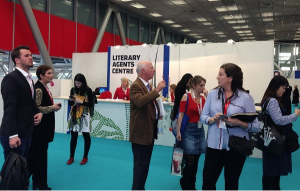 While you’re busy looking for the right literary agent, there’s no reason to put your writing career on hold. You can submit one of your manuscripts to publishers who don’t require agents - while waiting to hear back from those literary agents. Don’t worry - you’ve got to start somewhere, after all! But if you want to pursue all your publishing options, you need to treat those options exclusively. It’s extremely rare that any publisher or agent would consider publishing a book you’ve already published yourself. WHY? Because it means First Rights are off the table. What this means is that you’ll want to have one manuscript to self publish, another manuscript to submit to agents, and a third manuscript to submit to publishers directly. NOTE: Don’t self publish the first manuscript unless it’s been 4-6 months since your last submission - yes, it can take that long to get a response. (I once got an offer 11 months after I submitted.) So send out your submissions and just let it ride - in fact, forget about it so you can get on with the next project. Finding publishers - professional, For Real Publishers who know what they’re doing - is an entity all writers need to hunt down. It’s tough work, so I thought I’d help you out. Don’t be shy about submitting your work. Not if you’re certain it’s well edited and really ready to go. If you’re not quite sure about THAT - I highly recommend asking someone for help. Here’s howto give and get helpful critiques so that your manuscript will really shine. What about you? Are you submitting or planning to submit one of your manuscripts somewhere? Write below, let me know - or, as ever, send me an email. I’d love to know what you’re doing. Posted on November 7, 2016 by Jane Friedman This post was first published in 2011 and is regularly updated. Some writers really dislike conducting this research. While I think writers should undertake this task for themselves, if you prefer to hire someone to find appropriate agents and publishers for you to submit to, try Grad Student Freelancers. In addition to being a columnist for Publishers Weekly, Jane is a professor with The Great Courses, which released her 24-lecture series, How to Publish Your Book. Her book for creative writers, The Business of Being a Writer(University of Chicago Press), received a starred review from Library Journal. Mr. Pants Series by Scott Mccormick and R. H. Lazzell A laugh-out-loud comic hybrid series about the antics of three goofball cats, perfect for beginning readers and fans of Bad Kitty and Squish. Maybe you don’t need panic-induced adrenaline to write, but I do. That’s why my agent’s submission deadlines were the best thing for my book series. It had taken me three months to write book two, and I hadn’t even started from scratch. I had started from a few short stories I had left over from writing book one. But here I was, with just two weeks to write a book, and I didn’t have any (good) Mr. Pants stories in the tank; just a discarded attempt at a book that was tentatively called The Camping Catastrophe. So: Two weeks to produce a 128-page graphic novel from scratch? There was no way. Then the panic set in. It felt great. Hemmingway wrote every morning. Most successful authors seem to have similar habits. I can’t. I’ve tried. I just get frustrated. Sometimes I get lucky and an idea will just come to me and I’ll rush over to my computer (or whip out my phone) and start banging away until I have taken the idea as far as I can. But those moments of inspiration are rare. Instead, I need a deadline. I discovered this in college. I wrote every single paper at the last minute — not because I was procrastinating, but because I literally couldn’t write unless I was in a state of panic. When I’m calm and happy, it’s hard for me to push myself to write creatively. But when I’ve got just two hours to come up with a major ad campaign for my whale of a client? The adrenaline kicks in, the ideas start flowing, and my mind goes to weird places. After hanging up with my agent, I thought about the amount of money I could potentially blow if I didn’t turn my manuscript in on time. It was a glorious thought. I was giddy from panic. My mind zipped from idea to idea. All of them were terrible. Then, out of nowhere, my mind went to one of those glorious weird places. I thought of Dawn of the Dead, the 1978 zombie classic that was so gory the MPAA threatened to give it an X-rating, forcing George Romero to release it without a rating. It was one of my favorite movies. My editor called me the next day to discuss my ideas. I told her about Camping Catastrophe, since that was the concept I was closest to having finished. In the day since hanging up with my agent I had figured out everything I needed to finish that book: I had the basic concept and I knew the arcs for all of my characters. All that was left for me to do was, you know, write the book. But I knew I’d be able to get that done in time. After all, I was in panic mode. My editor liked the camping idea, but she worried about the publication date. Book three was scheduled to come out in the fall, and she was concerned that this story would be more suited to a summer release, when more people camp. She asked me what else I had. In the movie, the main characters are trapped in a mall. As a tween, when I first saw the film, I remembered loving that whole notion of having a mall as my personal playground. So, I launched into a spiel about how it might be fun to have Mr. Pants and family trapped somewhere like a mall, or, as I suggested, an airport. I was walking a fine line. I was trying to make it sound like I had another good idea when I didn’t, but at the same time, I was trying to make it sound like this idea was worse than Camping Catastrophe, because I had no idea how to build a story around this idea. To my chagrin, she liked the airport idea. I asked her to like the camping idea. We ended the call with her saying she’d run the two concepts by her boss and get back to me. But I was running out of time. Unfortunately, agents aren’t often calling me with these tight deadlines. In fact, it’s happened exactly once. But I still need that sense of panic to write. So, if I want to write something creative, something that doesn’t have any actual deadlines, I have to find ways to trick myself. One trick I have used in the past is to write with a partner. That’s how the Mr. Pants books came into being, I teamed up with an illustrator friend of mine and I made him give me deadlines. But I’ve also learned to team up with other writers, even if we’re not working on the same project. They write their book, I write mine, and we check in with each other at the same time each week to share what we’ve been writing. I usually put off writing anything until 5 pm on the day before our meeting. I have an alarm on my phone, which gives me that, “Oh crap! It’s Tuesday already?” feeling so my mind can go where it needs to go. Knowing that someone else is depending on me is enough to give me a reason to panic. I didn’t have time to wait to hear back from my editor, so I decided to finish Camping Catastrophe. It took me about six days or so to write the first draft and another two days to for the rewrite. I was rather happy with it. My editor called. She said exactly what I knew she would say. They definitely wanted the airport story. “How’s it coming?” she asked. “I finished Camping Catastrophe,” I said. I had four days left, and I had nothing to work with but some vague notion that my characters would be trapped in an airport. I spent a day and a half trying to figure out one important thing: Why were they at the airport? Where were they going to? Or coming from? More importantly, what did Mr. Pants want? In (basically) every work of fiction, your protagonist needs a goal. That’s what drives the story forward. In book one Mr. Pants’ goal is to play laser tag. In book two he wants to make a movie. In Camping Catastrophe he wants to join a Boy-Scout-type organization. But I struggled to figure out what he wanted or needed in this airport. I couldn’t think of anything. I had a bunch of false starts, but they were all terrible. I was way beyond panicked. I was losing it. Frantically searching for ideas, I went back to the reason why my editor didn’t want Camping Catastrophe. Timing. Book three was scheduled to come out in the fall, and she had thought the camping story would be more appropriate for the summer, which is when book four would come out. OK, I thought, what else happens in the fall? And then it hit me: Halloween. That one word unleashed a torrent of answers. At once I knew why my characters were at the airport. I knew what Mr. Pants wanted. I even knew how to get in a nice shout-out to Dawn of the Dead, by having my characters play an airport-wide game of zombie tag. It all came together, and I was able to finish my manuscript in just four days. My editor loved it. Mr. Pants: Trick or Feet was published a year and a half later and even got a write up in the New York Times Magazine. Maybe you don’t need panic-induced adrenaline to write. That’s great. But if you’re feeling uninspired or you just want to try something new, give it a shot. Set up a deadline somehow. Make the consequences of failure significant. Embrace the panic. Let your mind go to weird places. And start writing. Scott McCormick (@I_am_Mr_Pants) and R.H. Lazzell (@rhenrylazz), author and illustrator team behind Mr. 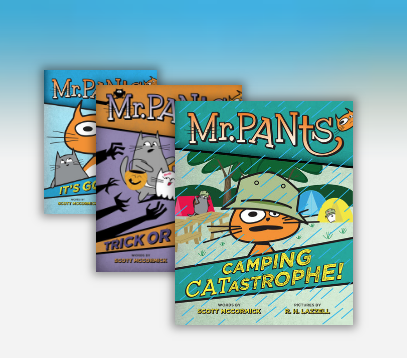 Pants: Camping Catastrophe and other books in the Mr. Pants series, stop by the podcast to talk about breaking convention, kids who never read, and how to remain funny. 13-year-old Emma Yang already possesses the talent & depth of a writer many years her senior. We’re honored to feature her work on QuietRev. Today, she manages to find untold depths in her observations of a house cat. We hope you enjoy reading her work as much as we did (not only today, but years from now when, we feel sure, her byline will grace your pages). Kittenish: playful and lively. A kitten isn’t a kitten if it doesn’t chase after anything in sight that wriggles, hops, or glitters. A kitten isn’t a kitten if it’s not always moving on to the next item or person, hopping from lap to table to rug, stretching out its paw for a string of yarn or a dust bunny. Therefore, this kitten isn’t exactly a kitten. It has its paws folded under its bulky belly, face pressed against the swing hanging from the ceiling of a quiet living room. Its two hind legs are awkwardly draped over the side as it silently struggles not to fall off the seat. The suspense of being suspended in air doesn’t seem to bother it. One of its eyes, a thin slice of emerald, tracks a mosquito that zips around the room. The other eye is nowhere to be found. The cat doesn’t even twitch when an ancient air conditioner turns on and buzzes like a muffled jackhammer. This kitten is a mystery, sitting for so long in such an uncomfortable position when it could be playing with its toys or lying on a comfy bed. Most people would be tempted to dismiss it as a failure, useless and unproductive. But a sedentary life is not necessarily an unrewarding one, and so many among us–cats and people alike–are driven by uncommon (but not unworthy) passions. A curious feline or human mind might be put to use studying the emotional effect of sleeping at various times on various couches, or seeing what happens if you roll your eyes back in your head too many times. These futile obsessions may only be relevant to those who pursue them. Even if they are accused of being boring, they secretly feel that their obsessions are the most intriguing, cutting-edge subject. Such perseverance is like standing on a board precariously balanced on top of a ball. Staying stable is the difference between success and failure–lose your balance, and you’ll go tumbling to the ground as the ball rolls out of sight. It is frustrating that your audience has no sense of the sheer willpower it takes to stay still. Feet wearing socks like bubbles of pink gum thump across the floor. The porcelain trinkets on the rickety table clink against each other like faint windchimes over the sound of the girl’s delighted squeals. There’s a twitch of an ear. A fully opened eye. The turning of a wide, swollen head towards the oncoming girl, whose pudgy outreached hands wake the cat from the reverie it worked so hard to maintain. Their two worlds collide like tornadoes, the overwhelming force of the impact blasting both of their ambitions into the air. After hours of meditating in its own world, the kitten is paralyzed by shock. All is lost: the swing tips over and the cat rolls onto the ground. Its outstretched limbs twitch like those of a dying cockroach. The girl kneels by the swing, wondering why the cat has collapsed. For a minute, neither of them moves. Then slowly, the kitten rolls itself onto its feet and climbs back onto the swing, resuming its precarious position. When I write, I am the cat on the swing, focusing entirely on maintaining my balance while girls run around in pink socks and other kittens chase after balls of string. Although it may look as though I am simply staring at a blank page for hours on end, behind this single-minded concentration is a flurry of mental activity: weaving threads of vivid observations, details, and anecdotes into a single, coherent piece. Lose your balance–lose your focus–and you have to start all over again. Perseverance is a skill that I have cultivated through reading stories. I have explored new ways to find deeper meanings or common threads in my experiences and stories. This kind of thinking and writing takes a lot of concentration, as well as a commitment to tune out the thousands of distractions that grab at my attention. Sometimes when I’m writing on the hard floor against my locker in the hallway, staring at my laptop, I pause to listen to the tempting chatter of my classmates across the hall in the computer lab. Some are listening to music on their iPhones and gossiping; others are watching YouTube videos. Every so often the elevator door opens and a couple of my friends walk through, laughing at funny stories from the weekend. All the while, I keep my eyes glued to the words on my screen, until I cannot help but look up and call my friend over for a chat. The half-filled page looks daunting when I turn back to my computer, and I feel guilty for losing my thread of ideas–but I take a deep breath, regain my focus, and start typing again. Stories can be about so many things, from family roots to dramatic descriptions of mindless tasks. They have taught me that everything contains a story, and it is the job of the writer to find and tell that story. 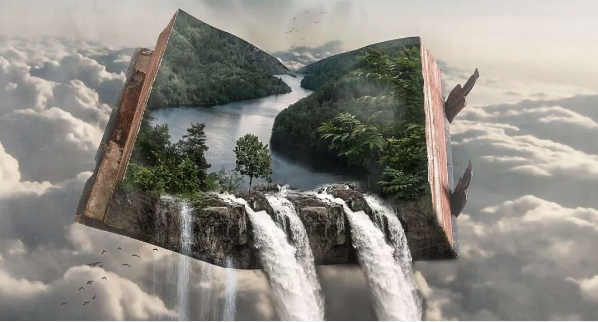 Sometimes narratives reveal morals and truths that I had never thought about before, and as a reader of stories I have enthusiastically experienced authors’ discoveries through the words they write. Who knew that a story about a never-spoken-of aunt could help someone find her own identity? Or that a family picking apples could offer a lesson about freedom? Or that a cat falling off a swing might inspire me to become a better writer? 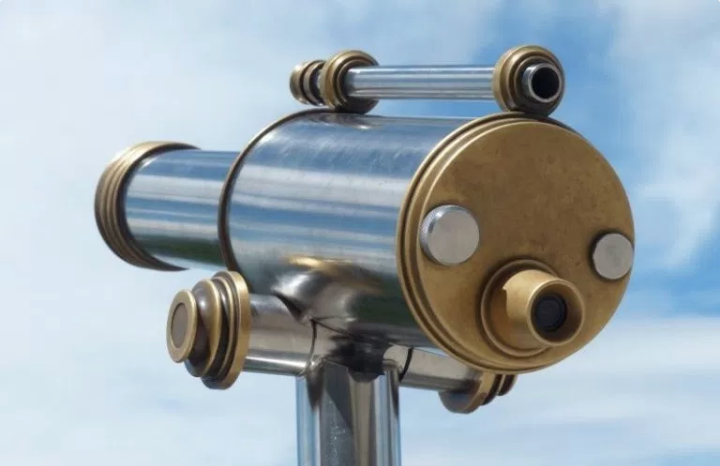 The passion to look closer, to listen harder, and to find meaning in everyday situations is at the heart of all the stories that we have read–and the ones I hope to write someday. My passion for writing began in the fourth grade. It was 1998 and an author came to my school, Belle Hall Elementary, to have lunch with a few lucky students. 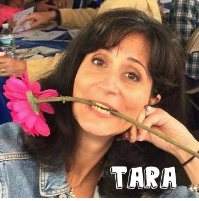 I was selected for the lunch date after confidently sharing with my fourth-grade teacher, Ms. Peninger, that I too would one day write a book. On our last day of class, Ms. Peninger gave me a hardback journal with instructions to write in it all summer and come back as a fifth grader and share. Fast forward to exactly twenty years later. I am sharing my book, The Manners Contract, with a group of 1stgrade students at Belle Hall Elementary and guess who walks in the room… You guessed it.. Ms. Peninger, now Mrs. Inglett! To my wonderful surprise Mrs. Inglett is still teaching 4th grade at Belle Hall Elementary and I am given the honor and privilege to come back a few weeks later and share this poetic journey with the entire fourth grade class. As I read the book to the shadows of my former 4th grade self, I often paused to explain the process that went into the creative writing, editing, illustrations and publishing. 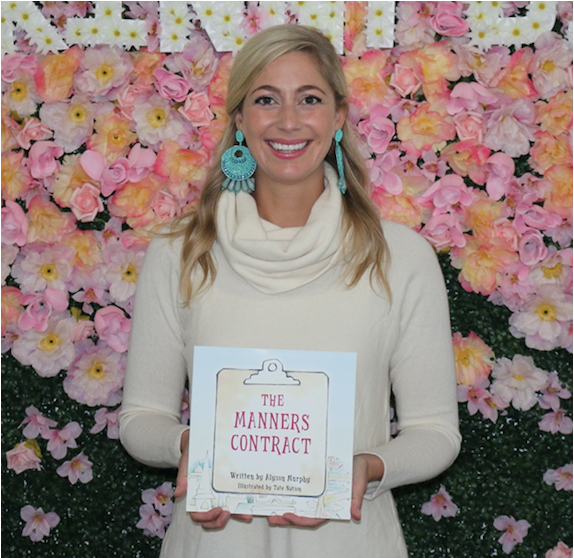 Just as Mrs. Inglett inspired me 20 years ago, I am inspired once again to continue this presentation – The Making of The Manners Contract – not only to the fourth graders at Belle Hall but to students of all ages all over the Lowcountry. But this story hasn’t just resonated with students. It seems that everyone from my hair dresser to my Uber driver has an idea or story they would like to see come to fruition. While the book might have appeared to simply show up on amazon.com overnight, there was about a year of trial and error that went into nothing short of this labor of love. So, if you are a fourth-grade student or a 64-year-old dreamer, I’ve compiled a list of my top six tips for getting your next story published. 1.Write about something you're familiar with. I teach manners and mindfulness classes so it was a no brainer that I would write a book on manners. A book can also be an extremely lucrative business tool so don’t waste an opportunity on a book about your dog. Or do.. it’s up to you! 2. Don’t do it for the money. According to Forbes the average income for a self-published author is under $5,000 while authors published by traditional publishers have a medium income range of $5,000-$9,000. 3. Find an editor you trust. If you are writing in rhyme it is crucial to find an editor who is an expert in rhythm and meter. If you are writing for YA find someone who can work with you on plot and pacing. Either way, find someone you can trust so that critiques feel like progress being made rather than personal attacks. 4. Understand basics behind traditional publishing vs. self-publishing vs. indie publishing. There are pros and cons for each. To publish traditionally you will need an agent and if you are not a celebrity, plan on at least 100 rejections and at least two years of further editing and marketing before your book hits shelves. 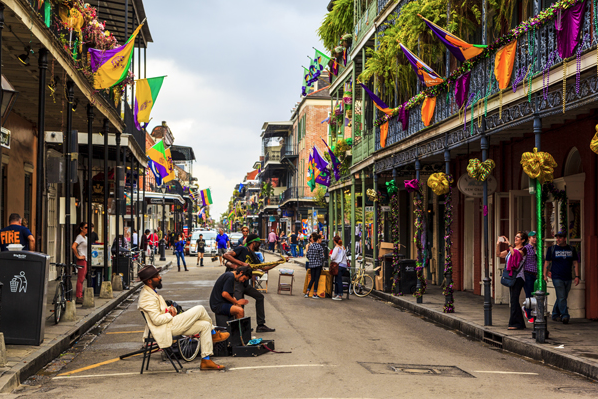 Once it makes it to print, the royalty rate is on average only 10%. The positive side is that there are no upfront financial costs, in fact, they pay you an advance anywhere between $6,000-$10,000. Self-publishing bypasses needing an agent and offers individuals custom publishing packages depending on their wants and needs. These packages range from $400-$6,000 and offer basic to advanced publishing services such as ISBN, copyright, design, print, etc. Again, the royalties are slim and it can take years to earn back your initial investment. If you don’t necessarily care for being told no or giving the majority of your paycheck to a middle man (like myself) there is a third option called Independent Publishing aka Indie Publishing. I used a local independent publisher called Palmetto Publishing who was able to format my manuscript and illustrations and have the book in print and on amazon.com in less than two weeks! There is a small fee for formatting, but they take zero royalties. Speaking of illustrations, if you indie publish, you will have to hire a professional illustrator (this will cost 1k-6k) or create the illustrations yourself. I was incredibly lucky to have the opportunity to work with award winning artist, Tate Nation on my first book and have reached out to Charleston Artist Collective to interview local artists for book no. 2. 5. Take risks, embrace rejection and celebrate the rewards. To indie publish I had invest about 4k of my own money. 3k for the illustrations and another 1k in editing and publishing costs. When the book was finally available to purchase, I only had $18 left in my business account – that’s not even enough to buy a copy of my own book! Lucky for me, not too many schools are opposed to having a guest author share a lesson on manners for free. The money comes from the order forms I send home with students and my gratitude is debited to all the parents who have supported this 20- year-old fantasy turned reality. In only three months since the book launched, I’ve grossed double what most indie authors are predicted to make in a year. Not every school generates the number of orders I hope for, but when I get a school that does I make sure to celebrate! 6. Hustle. Nobody is going to sell your book better than you will. School readings have been my biggest motivator, but other avenues can be book signing parties, farmers markets, gift shops, children’s boutiques, etc. Last week, I even filled an order for a local car wash. There are no boundaries for your book when it is something you believe in and are willing to put in the time and effort to market, promote and sell. So to Mrs. Inglett and all of the teachers who have dedicated their entire lives to the potential of their students, please know how much your hard work is valued and appreciated. The seeds you plant today (whether in 2 years or 20 years) become the roots that give us prospect and promise for the rest of our lives. Aly Murphy is an international etiquette consultant based in Charleston, SC. She previously lived in Manhattan while she studied the history, social psychology and neuroscience of civility working with clients that ranged from former inmates to Wall Street executives. Aly discovered that while the rules of etiquette will continue to evolve and change over time, the need for acceptance and belonging remained timeless and at the core of our progressive society. When not working, Aly enjoys traveling, boating, chasing sunsets and hometeam. by Sara Wigal for IngramSpark, February 12, 2018: Here are some tips for how to make sure your book is going to compete in the marketplace. So many writers get caught up in the writing process that they completely forget that there are many steps between finishing the writing and putting a final book on a shelf or online. Being able to independently publish has changed book publishing for many talented writers—overstepping the traditional process of finding an agent and publisher means that for IngramSpark authors, getting to your book’s birthday can be expedited greatly. However, there are some steps that you as a writer should never skip over, no matter how you choose to publish your book. At a publishing house, the editorial and proofing process can take a year, so having patience with your own book’s journey through this portion of the production process is vital to creating a wonderful book. 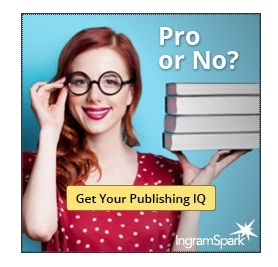 The process that traditionally published writers go through has many valuable steps that are vital to putting a modern and polished product on the shelf, and IngramSpark authors have access to all of these same tools! 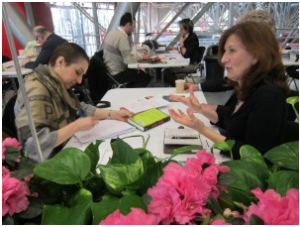 Here are some tips to make sure your book is going to compete in the marketplace. Use Beta Readers. When you’re “done” writing, make sure you have beta readers. These are friends or writing group members that will read your first draft and provide you with feedback. Take their suggestions to heart! It can be really hard to take criticism (hopefully your beta readers give the constructive kind), so give yourself enough time to hear them, consider the suggestions, and then implement appropriate changes. Don’t rush. Be Your Own Book Editor. No one ever wants to hear this, but taking some time away from your book in between editorial rounds is really helpful to many authors. That may mean one month or even more of not re-reading or tweaking anything at all on your manuscript. Giving yourself time to get out of a headspace of thinking about it all the time will mean that returning to the book with fresh eyes is possible. This enables you to edit yourself. But you can’t do this without a bit of space first, and a period of time in which you don’t look at the book at all. Developmental Book Editing looks at the “big picture” of your message and makes sure things are best organized to flow logically and express your ideas and themes, and if it is fiction, plot and characters. Developmental edits also hone in on general issues with the language (would that character talk that way?) and compare your book to others in its genre to make sure things seem consistent with what readers will expect. Substantive Book Editing really focuses on readability. After you’ve done a developmental edit and you know your basic ideas are being expressed properly, are there any specific ways in which individual sentences or paragraphs can be reworded to stay in line with that ultimate vision? Line or Copy Editing checks for grammatical issues, proper punctuation, and making sure that in general the book is consistent with itself (spellings of the names of characters don't change halfway through, for example). Proof the book. After you are done editing, give yourself enough time after you upload your book to IngramSpark to proof a single printed copy. Make sure that your page layouts look right, there aren’t errors from the design layout, etc. This can be a tedious process with several rounds depending on how complex your book design may be, so be patient. Once you are satisfied that this book looks like what you want on bookstore shelves and other readers are used to seeing . . . go ahead and pick your book’s birthday (also known as a publication date) and celebrate. Remember, you will want to start working toward your publicity goals for several months before that birthdate, so don’t forget to keep that in mind as part of your planning process as well!